The New York Times reported Tuesday that President Donald Trump was earning $US200,000 annually by the time he was 3 years old. A massive New York Times investigation published Tuesday on President Donald Trump’s wealth found he was earning $US200,000 annually in today’s dollars from his father’s empire by the time he was 3 years old. Those details were a part of a much larger examination into how the president became so wealthy. 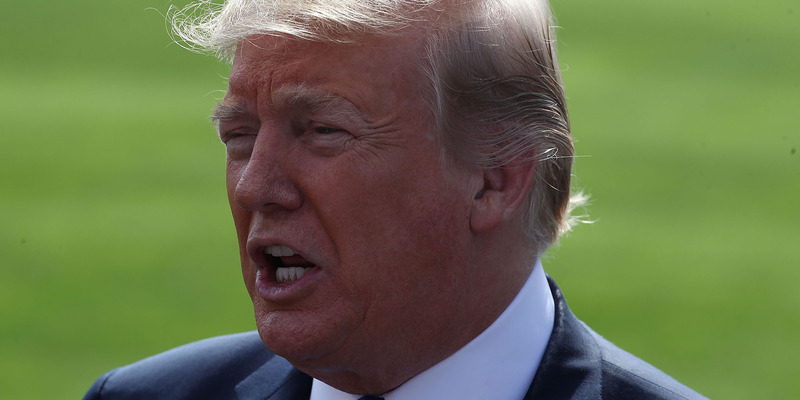 The Times reported that Trump engaged in what it described as “dubious tax schemes” in the 1990s that even included “instances of outright fraud” that enhanced the fortune his parents – mainly his father, Fred – passed on to him. The conclusions of the investigation run counter to Trump’s personal narrative, which he has repeated for decades: that he is a self-made billionaire who built his own empire. While The Times was not able to review Trump’s personal tax returns – which he has refused to release, breaking with decades of precedent for presidential nominees – it examined “trove of confidential tax returns and financial records.” They revealed Trump received at least $US413 million in today’s dollars from when he was a small child through the present day.